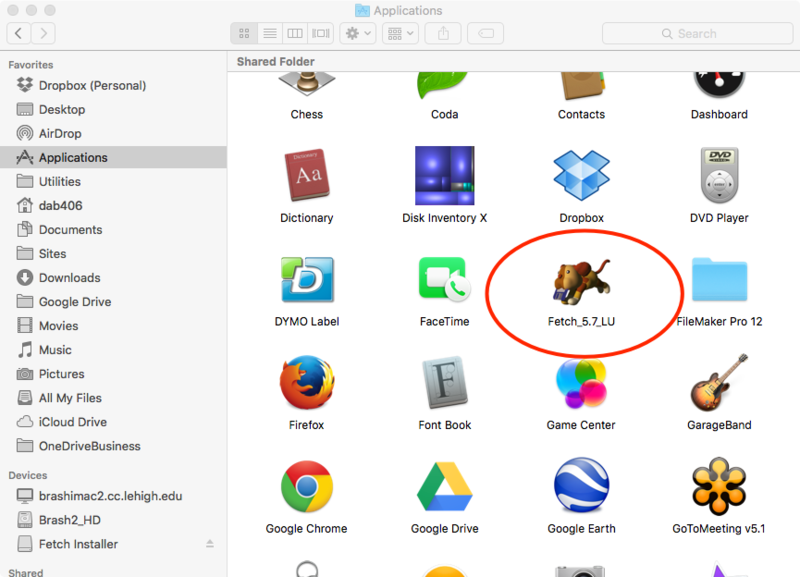 This procedure demonstrates the use of Fetch on a Macintosh to upload web files to a webserver using a Lehigh personal webspace as an example. 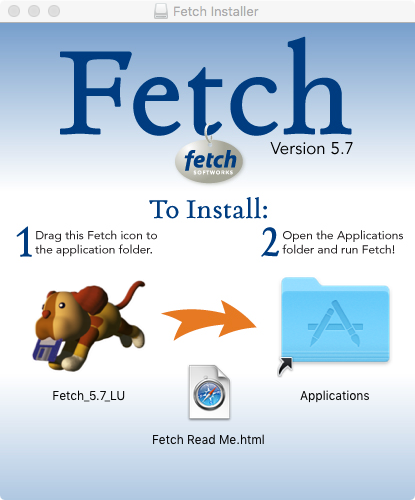 Open the .dmg file that's downloaded, and follow the instructions there (drag the Fetch icon to the Applications folder icon). Go to the Applications folder and open Fetch by double-clicking on it. In the connection window, you should see icons for creating new folders, downloading items (Get), and uploading items (Put). Scroll to your 'public' folder and double-click to see your 'www-data' folder. Double-click to open it. Files 'Put' here will be available at your personal Lehigh URL, e.g. 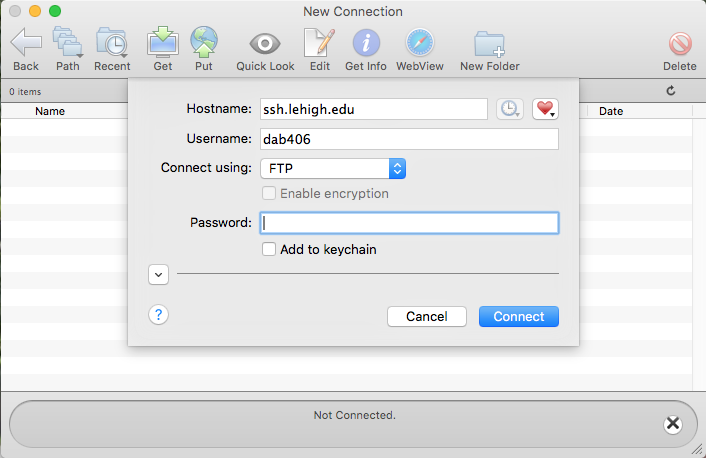 'http://www.lehigh.edu/~username/filename.html'.